I like the way the story was laid out for print. As you turn from the opening page to the next, a rider appears on the trail ahead. For me, Stirling Lorence’s images immediately conjure up sensations of pumping the bike behind a smooth and skillful rider along a timeless section of trail. I love that mountain biking brings on experiences like this so frequently. The article talks about the characteristics common to these sought-after states and how they relate to optimal experiences on the trails. 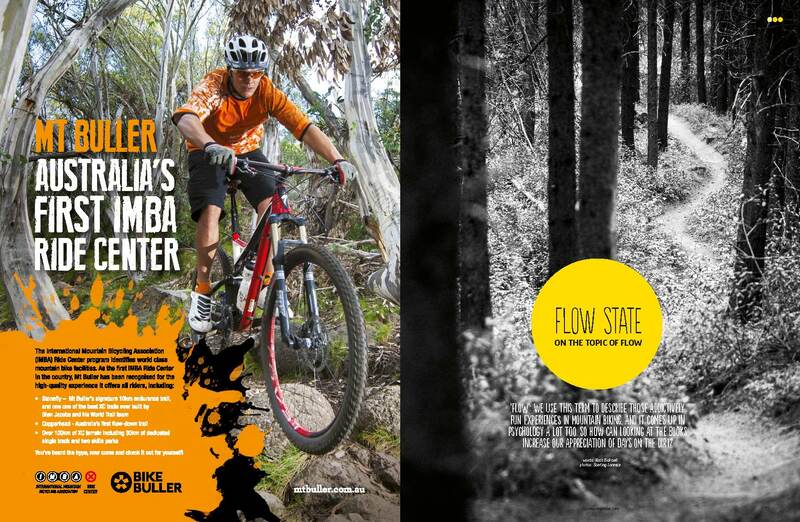 Examples of an absence of flow are discussed as a way of looking at how riders can change how they think about or approach the trails. This helps to make the euphoria of a flow-type state more likely to appear, leading to increased enjoyment and smoother, better riding as a result. Academically speaking, this work opens the door to new ways of understanding embodied problem solving and filtering strategies – such as those riders use to stay in flow longer. It also helps us to better understand the techniques athletes use to perform as well as possible when things aren’t just ‘happening’, or simply don’t go to plan. This research demonstrates the active and important role of thinking during such scenarios. 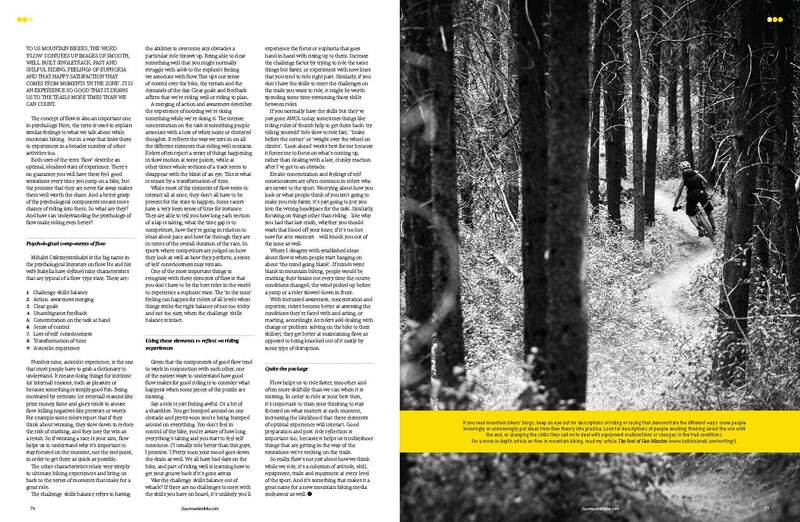 The risky, variable and fast-paced environment of mountain bike races means participants discuss these phenomena in insightful and articulate ways.